Justin Timberlake net worth: Justin Timberlake is an American singer, actor, entrepreneur and producer who has a net worth of $230 million. Justin Timberlake was born and raised in Memphis Tennessee. His first big break came when he appeared as a contestant on the television talent show Star Search in 1991. After Star Search, Timberlake was cast in the sixth season of the revived television series The Mickey Mouse Club. After its cancellation a year later, Timberlake and fellow mouseketeer JC Chasez were recruited to be the lead singers for a boy band that would come to be known as 'N Sync. Though they only released three studio albums, all three were certified multi-platinum by the RIAA and produced many hit singles such as "Bye Bye Bye" and "It's Gonna Be Me" which peaked at number one on the Billboard Hot 100. The album "No Strings Attached" was named the album of the 2000s by Billboard. After 'N Sync broke up in 2002, Justin released his debut album, "Justified", which garnered two Grammy Awards. His second album, "FutureSex/LoveSounds" topped the Billboard 200 upon its debut and went on to sell 9 million copies worldwide and win the 2007 American Music Award for Favorite R&B/Soul Album. Timberlake's acting credentials include a supporting role in Black Snake Moan, Southland Tales, Shrek the Third, Just Friends, The Social Network and more. Timberlake has collaborated with many other recording artists, including Madonna, Duran Duran and 50 Cent. 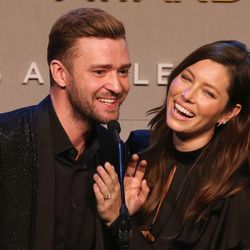 Timberlake has also expanded to the world of business with 901 tequila, William Rast clothing line, and a string of co-owned restaurants. In 2012 he became an investor in the newly revamped Myspace.com. In 2013 alone, Justin earned slightly more than $60 million.